I will be building a sensor monitoring system using a MediaTek LinkIt™ Smart 7688 combined with MediaTek LinkIt ONE for continuous live wireless monitoring and communication between multiple devices anywhere in the home. Additionally the LinkIt ONE will have auto configuration, making any device on the network which has a LinkIt MT processor plug-and-play without any add-ons/shields. The system will be accessible via a smart device with an app (Currently an html file). Since this a brand new device, this tutorial will include how to connect to an IoT cloud and an initial setup, so that you can hit the ground running with the awesome LinkIt Smart 7688. I am usually very skeptical of about micro-controllers and this one nailed it. One of my favorite parts is the fact that this micro-controller has OpenWRT, making wireless configurations amazingly easy and with the support of wireless flashing and updating itself, so all you need to start is the micro-usb cable for power. Scroll down until you see "Upgrade Firmware"
When I tried re-flashing the Linkit Smart 7688, it took me about 3-4 minutes, so DO NOT unplug during that time, or it could not boot up again. Press the SSH radio button and type in the input box "myLinkIt.local"
For the next steps for the actual project you will need the LinkIt Smart 7688 Duo HDK, with the second micro controller. Press the green login button located in the bottom right of the window, if everything goes right a window should pop up with the folders located on the SMART, good job you got WinSCP to work! Find the "MediaTek LinkIt Smart boards" option and press "Install"
We need the LinkIt One SDK as well to be able to transfer the data to the LinkIt Smart 7688. Right click the first one and select "Update Driver Software..."
Follow this path "Browse > Let me pick > Show all (Hit next) > Have Disk..."
A new window should pop saying "Install from disk"
Open up the Folder "LinkIt-ONE-IDE-master"
Go to this folder "drivers/mtk/"
Want to understand how this works (the wireless part)? The LinkIt Smart 7688 Duo HDK is running OpenWRT which is a Linux system made for wireless coms. Within the build of this Linux system, there is avrdude, under the /usr/bin folder which is used to program Atmel devices. 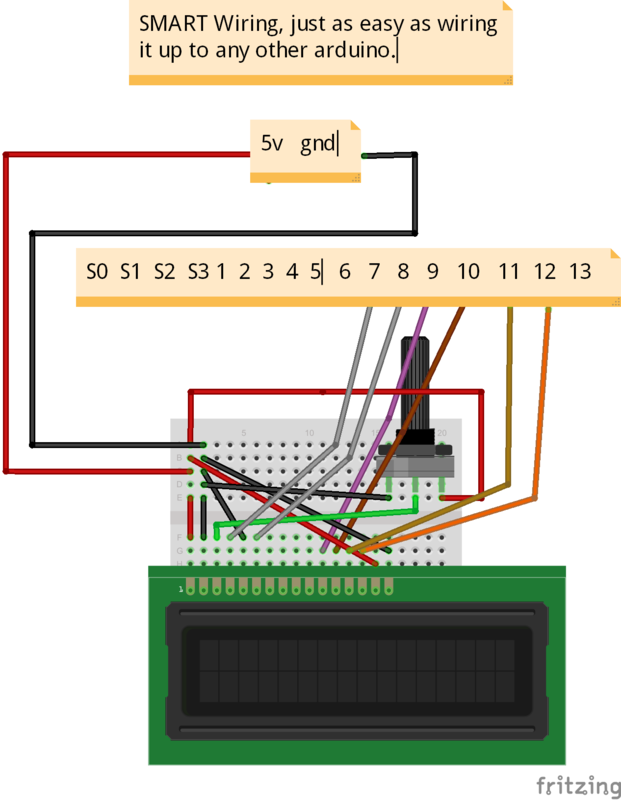 Since the Atmega32u (Atmel side) is connected to the MT7688 (Linux side) with a serial line, you can push code through a packet and have the Linux side on OpenWRT download and flash the second controller on the board. So from now on you can push updates over your local network. Our end result for this is to get the LinkIt Smart 7688 and the Linkit ONE communicating together, at least send a simple packet, back and forth. So for this example I am going to slap together a echo server and see how the LinkIt Smart 7688 can actually handle packets (P.S I am writing this as I'm going). Run the command cd ..
Now you should see some response on the LinkIt Smart 7688 on the PuTTy program (Every one second), like "Hello from the ONE..."
If you do then you have successfully set up the Linkit ONE and the LinkIt Smart 7688 to communicate with each other. Since we have the LinkIt Smart 7688 and the Linkit ONE ready to be programmed, lets actually wire the both of them. Unplug the LinkIt Smart 7688 and Linkit ONE for these steps. Download the carriot API for python here, on the computer side, not the LinkIt Smart 7688, extract the zip and place everything in the carriot folder into a main folder called COM (The one under carriot-master, there is another one). Open up some text file and go back to cpanel.carriot.com, find the new device you created copy and paste that into the text file, like so "DEVICENAME@USERNAME.USERNAME." Then go to your account and find the API key that goes back to the smart device we created earlier. This is as simple as the IoT can get, the second we send a data stream using the carriot python API, carriot will text us that the "Ultrasonic sensor was activated." Since you do have to eventually pay for carriot, I will never use it, but this was just an example of how you can use a larger more expensive framework, when you can just do what I do and broadcast a nice looking webserver, that holds all that information. Now what do we want for our end result? Well we want to be able to update current information about the house, such as movements, lights and/or other things on carriot. So it's not going to be easy, at least not for me because this is the first IoT thing that used an actual API and not some local broadcast text file. For the LinkIt Smart 7688 to send data to the internet, guess what it actually has to be connected to the internet. At first I ran into this problem where I wasn't able to connect to connect to a wireless device and broadcast as one at the same time on the LinkIt Smart 7688. So I am going to go a little cheaty way where I use another client device that supports both to do the IoT handling for me. For this instance the laptop that supports Ethernet and Wireless... It's basically piping everything I receive on the LinkIt Smart 7688 to the laptop. To start off this process lets open up the folder with the python API (For carriots). Here are all the files you will need in that folder to update carriot (look bellow for all code pieces, p.s. some is on github like the python carriot api). After placing all of the folders and files in the correct places, open the porter.py and modify the API-KEY and the DEVICE id where is needed, the rest will be handled for you. (Just remember this whole IoT thing is ported so the Linkit ONE will be slower because it'll have to create new threads to act as a server/client). Do the same thing for the VIEW-HSENSORS.html file (Open in notepad and replace where the capitalized "APIKEYHERE" with the Api Key found on the profile page of carriot, also changs "DEVICENAMEHERE" with the device name like this "SMART@username.username"
This process is a lot simpler, open up WinSCP and place the Server.py code in the root folder, the same place where you placed the test file, here don't mess with anything unless, you want to add more sensors like a color sensor. I made it as plug and play as I could with the programming, besides the carriot part. Then you need to wire the LCD/Pot on it correctly, and use Arduino to flash the Server(Duo).ino code. That's it if you have any question just contact me at smerkousdavid@gmail.com... Thanks for reading this much even, I spent a ton of time learning about the amazing new MediaTek LinkIt Smart 7688 Duo. print "Successfully sent to carriot!" recv = "Bad Command: "
recv = "Got Connected to Device"
mtSend = "Got Connected %=new=%to Device"
recv += " Ultrasonic (inches)"
recv = "Porting data to"
recv = "Stopping to send"
mtSend = "Pot Value: %=new=%("+recv+"/1023)"
print "Porting computer not found"